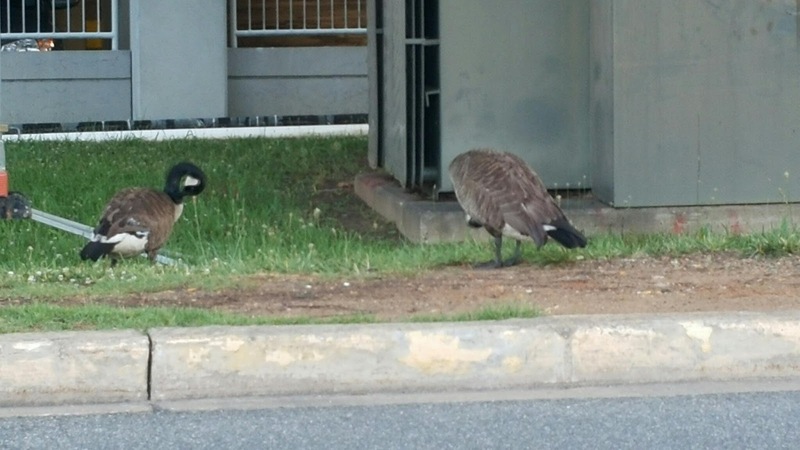 Welcome to Tronster.net: Geese on the way to work. 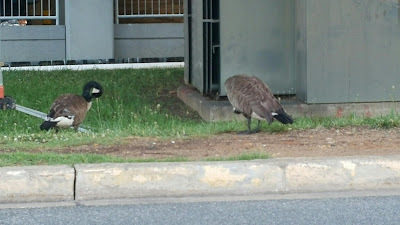 Geese on the way to work. Tronster uses a combination of driving and riding to work. To save a little, we carpool to a metro station and I grab a bus for the last 12 miles. It really is convenient. I have the distinct privilage of patiently waiting for the bus everyday of the week. 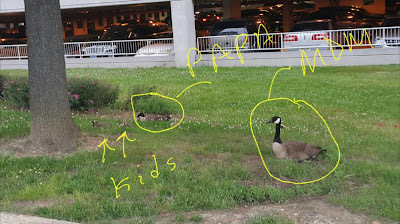 At the metro station there is a family of geese that has grown right in front of our eyes. This first photo was a few weeks ago. When the little ones were smaller, there was no getting close. 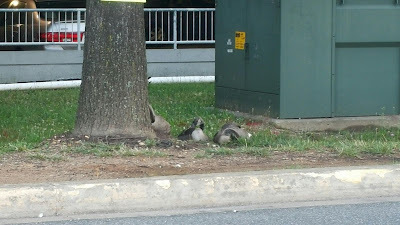 This morning when I arrived at the bus stop, the little ones are not as little anymore. Wildlife has always been a joy to watch. 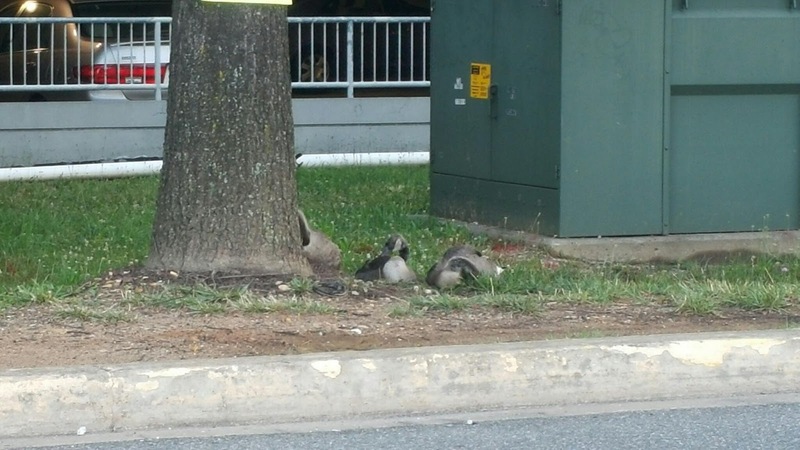 Even the geese hanging at the bus stop. We have the parents and all the little ones. Enjoy this Friday, for some of us the week is at an end.